Unto Thine Hands was painted to memorialize the crew of CG 1705. 1705 was assigned to Coast Guard Air Station Sacramento. This new paper giclee' print measures 18x30" on a heavyweight acid free fine art paper. memorial print, Part of a new limited edition of 1705 signed and numbered prints. 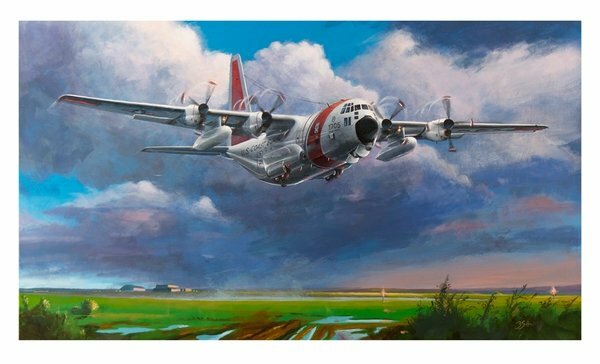 The large scale original was presented to the U.S. Coast Guard, by the artist, at Coast Guard Air Station Elizabeth City, NC. The painting now resides in the permanent collection of the U.S. Coast Guard at their Headquarters in Washington D.C..